Sundays are made for pampering in my book. Ending the week with chill out session, ready to ease into the next one. Affordable skincare favourite, Dirty Works, have created a revolutionary revival for tired eyes that is the perfect accompaniment to your Sunday pampering routine. Whenever I watch movie scenes with girlie pampering sessions, they’re always relaxing back with a face mask on and cucumbers over their eyes. 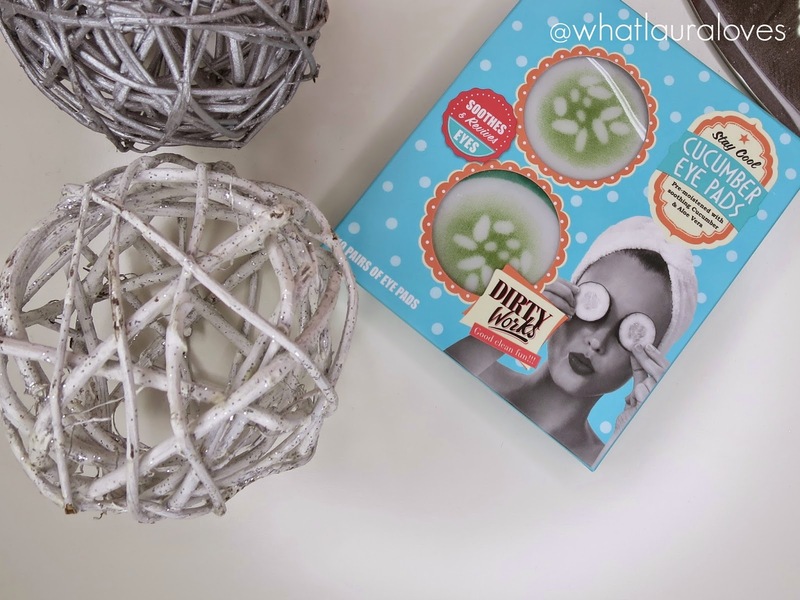 With the Dirty Works Stay Cool Cucumber Eye Pads*, there’s no need to spend time slicing up cucumbers as everything you need comes in this handy pack, ready to soothe and relax your eye area. 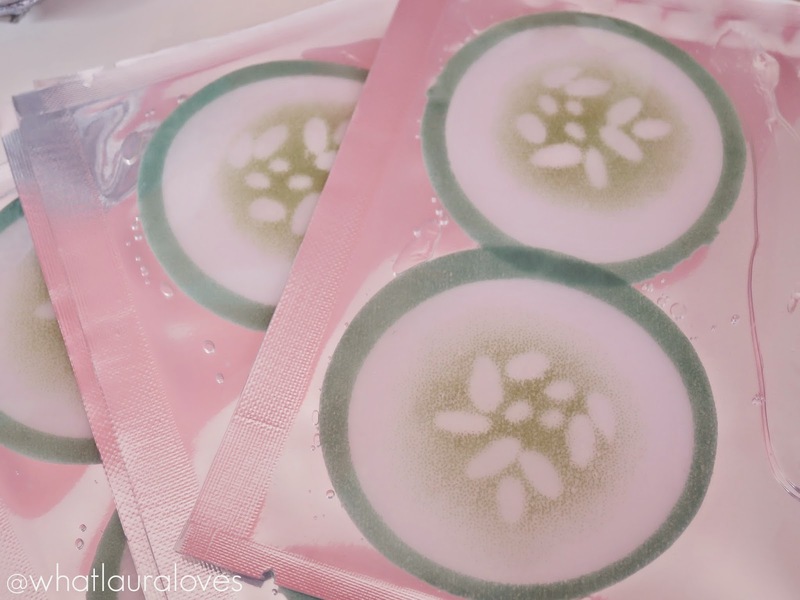 For a purse friendly £4, you get ten pairs of pre-moistened Cucumber Eye Pads that are sealed in individual one use sachets ready to use when your eyes are feeling tired, after a long day or when you’re just in need of a bit of pampering. The pads are infused with cooling cucumber extract and soothing aloe vera, making them perfect for when your eyes are feeling irritated, looking puffy or red or when you’re suffering from dark circles. I find that these work the best when they’ve been kept in the fridge before use as they become very cool which is great when your eyes are puffy or very tired if you’ve had a long day or little sleep. The cooling effect really helps to reduce puffy under eyes. They’re really easy to use, simply tear open the package, lie back, close your eyes and pop one on each eye. I like to do this after I have applied a face mask for the ultimate pampering treat and tend to leave them on for a good 15-20 minutes. They’re designed to be used for 2 to 5 minutes but I like to choose face masks that I can leave on for a long time and sometimes have a power nap while its getting to work so in turn, I end up leaving the eye pads on for longer too. This doesn’t adversely effect my eyes at all and the pads themselves are very light with plenty of solution on them. 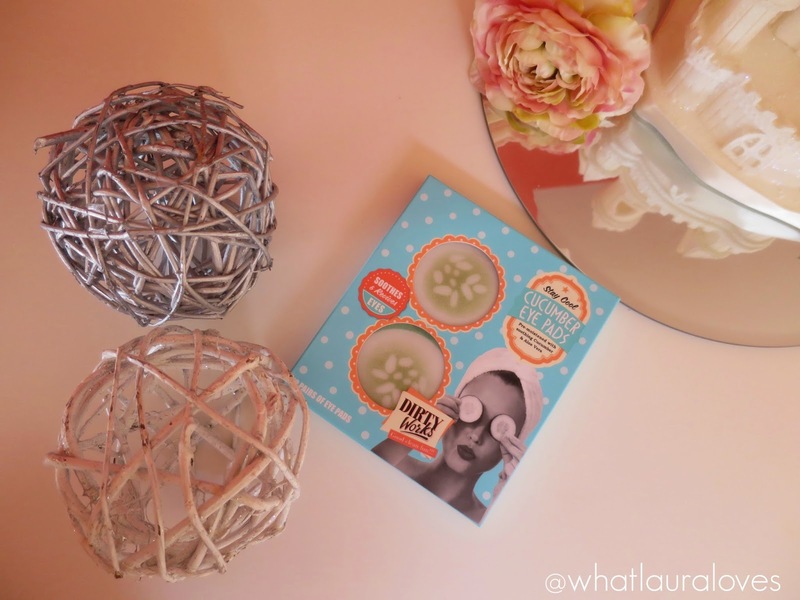 The Stay Cool Cucumber Eye Pads are a brand new addition to the already fabulous Dirty Works range and I love how effective they are at helping me to relax and cooling down my eye area. I don’t have any eye masks as such and I can’t use a normal face mask on my eyes so I am so pleased to have finally found something that I can pamper my eye area with before applying my eye cream! Dirty Works products are available from Sainsburys online here and in store in the UK and from Coles in Australia. To keep in touch with Dirty Works and to find out all about their latest products, you can check out their website, follow them on Twitter and like them on Facebook. This is such a cool idea, doesn't waste any cucumber but still has the same effect! These sound divine! Think I'll be investing for some well overdue pampering for this tired mum! OMG, that is such a cute picture! I've got a cucumber in the fridge that I need to use up. I may just cut a couple of slices and go to town. Thanks for the inspiration!